Victoria Bekiempis at the New York Daily News offers a piece on the federal trial of Joseph Merlino, the reputed Philadelphia Cosa Nostra organized crime family, and others. Murder comes “easy” for accused Philadelphia mob boss Joseph Merlino, prosecutors say. And that is making it hard for his co-defendant to face trial with him. Merlino, aka Skinny Joey, was among 46 alleged wiseguys hit with racketeering charges in August 2016. The Manhattan U.S. Attorney’s Office has claimed those charged — who allegedly hail from the Genovese, Gambino, Luchese, Bonanno and Philadelphia crime families — cooperated in a conspiracy ranging from South Florida to Springfield, Mass. 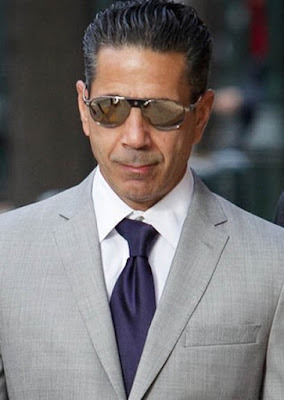 One co-defendant, Eugene (Rooster) Onofrio, wants to be tried separately from Merlino. Onofrio, an alleged Genovese capo who runs crews on Little Italy’s Mulberry St. and in Springfield, Mass., fears Merlino’s alleged misconduct could prejudice the jury against him at trial, according to court papers.